If you’re looking for a new app to try, you’re in luck, 21 iPhone and iPad apps just hit our database. 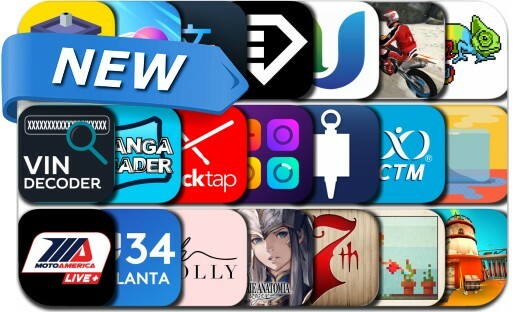 Today’s batch of new apps includes Valkyrie Anatomia - The Origin, Photographs - Puzzle Stories, Mindsweeper: Puzzle Adventure, House Paint, Slope Run Game, Groovepad and many others. White houses are boring. Bring the colors in and paint everything in seconds! To complete every level, paint all white spaces. Swipe left, right, up and down and fill all the empty spots! Every level is 100% possible to solve. Yet not everyone can do it! Are you up for the puzzle? Manga Reader - Read Manga!